Most chronic wounds are colonized by polymicrobial aerobic-anaerobic microflora. However, practitioners continue to debate whether wound cultures are relevant. Typically, chronic wounds aren’t cultured unless the patient has signs and symptoms of infection, which vary depending on whether the wound is acute or chronic. 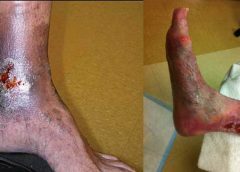 By Jennifer Zinn, MSN, RN, CNS-BC, CNOR, and Vangela Swofford, BSN, RN, ASQ-CSSBB For surgical patients, operative wound classification is crucial in predicting postoperative surgical site infections (SSIs) and associated risks. 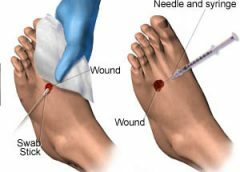 Information about a patient’s wound typically is collected by circulating registered nurses (RNs) and documented at the end of every surgical procedure.